As a mom of four, I know going the extra mile staying organized, can go a long way when it comes to saving money. Kids grow up so fast and while I’d love to purchase adorable brand new clothing for all of my kids for every inch they’ve grown, my better judgment tells me it just isn’t practical. I’m also well aware of how easy it is for kids to ruin their clothes and how difficult it is to scrub the spills out. Let’s face it, part of being a kid is getting messy. I don’t know about you but when our kids come home from daycare, I’m already anticipating the paint stains, sauce dribbles and torn material. It can’t be helped. Especially when it’s not under my own supervision. Every beginning of a new season, I sort through their clothing. It all trickles down. Holden and Beau get hand-me-downs from their older cousins, Everly gets hand-me-downs from Beau, and Mia, gets hand-me-downs from Everly. The kids clothes are sorted in two separate piles: unspoiled, polished weekend clothes and the more loved clothes for school weekdays. I’ve made sure to pull out any clothing that’s not season appropriate, ones that can be donated and some they’ve outgrown. Once everything is sorted and switched over into their drawers, I know exactly what is needed when I do go out shopping for new attire. 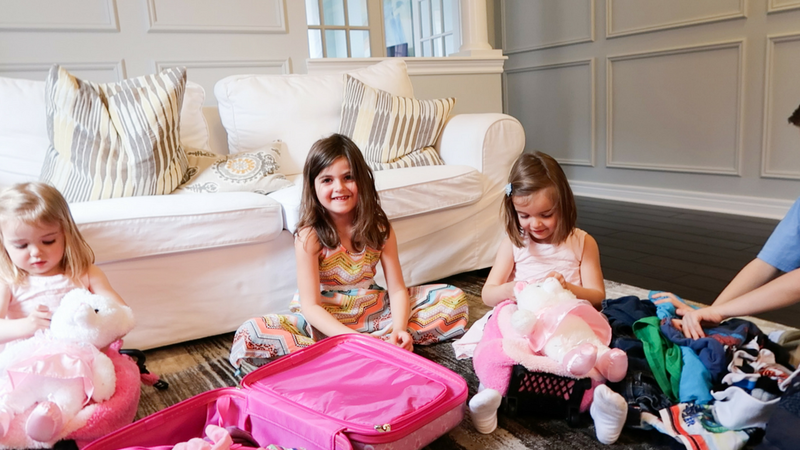 You might have to take some time out of your hectic schedule to make sure that you are squeezing every wearable drop out of your kids’ clothes, but I promise you, it is well worth it. After having my kids I realized that I’ve adapted a more organized, and budget savvy way of thinking, and guess what? It works. Don’t forget to subscribe to Nesting Story on YouTube so that you don’t miss a video.